Been listening to the remixes of Tokyo Police Club‘s new record Elephant Shell in the last couple of days. Its definitely grown my interest in this band. On the 5 song 7″ there are remixes by artists like Dntel, Flowers Forever, and The Good Life. The best one is Field Music‘s verison of Tessellate, head to Pasta Primavera to grab it. **Also grab that Beatfanatic remix of Jose Gonzalez Killing For Love. Awesome. 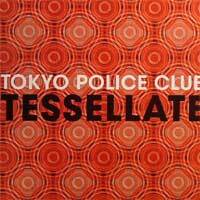 Here is Tom Campesinos!’s version of Tessellate. What do you think? I think the metal garbage pail snare is a little much at the beginning… it kind of blends in near the end. Speaking of Jose, here’s a video Jose doing Teardrop.